The TEAM BC Program’s goal is to build a program that is recognized as the best not only in our province but across the country. 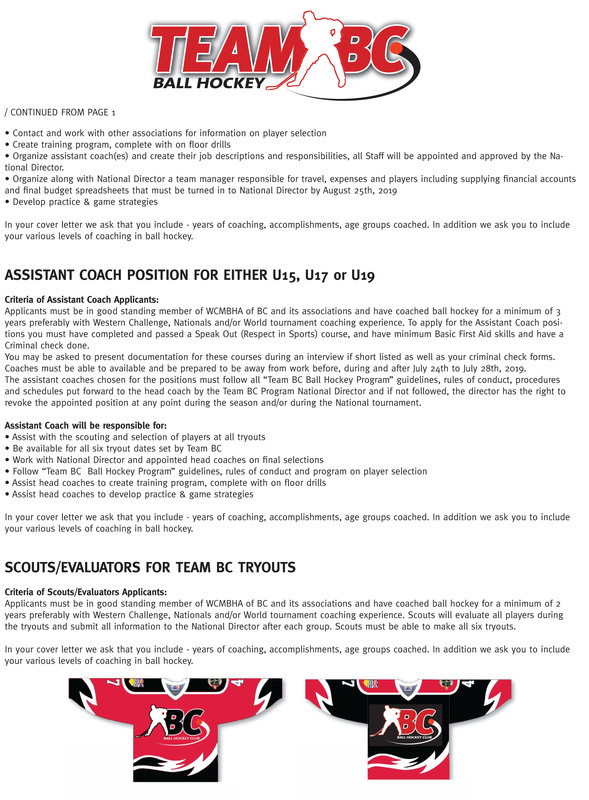 Team BC has a reputation of competing at a high level in all the past Junior National divisions. 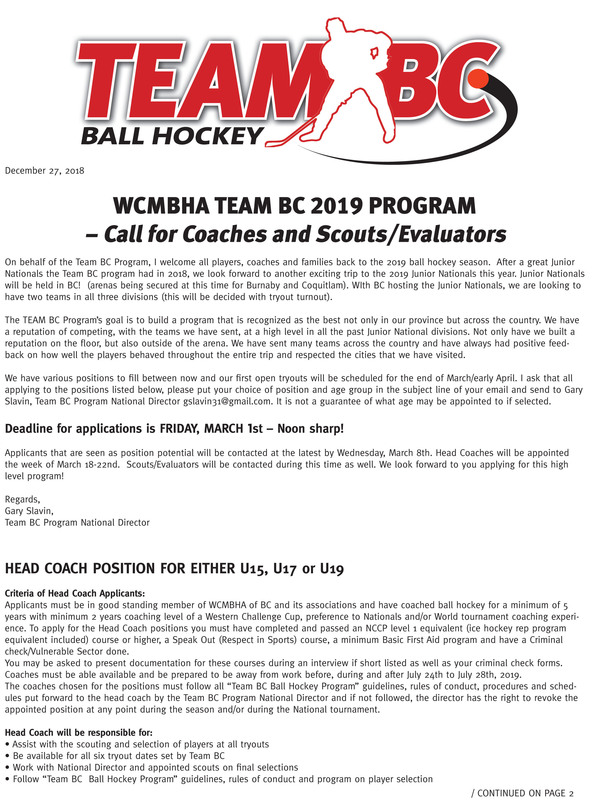 Team BC has a number of positions to fill for the 2019 season, please see attached document or the WCMBHA website for further details.